When Li Ning first entered the market, the main impression about its line of badminton racquets was "overpriced". It is understandable given that it was a lesser known brand, thus its quality would have been questioned. 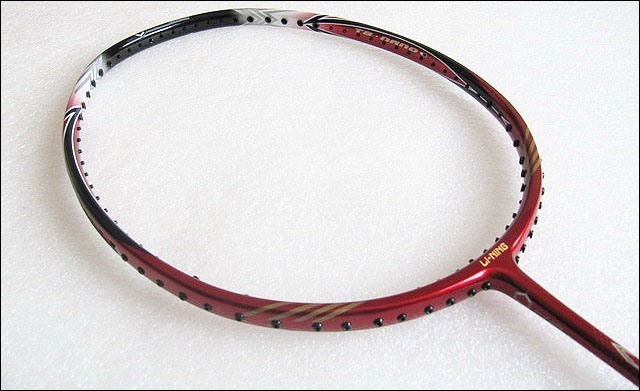 Li Ning racquets were overpriced because Li Ning was supposedly paying a premium to contract factories in Japan that produced Yonex lines of racquet. Li Ning did not want to compromise on quality because it is obvious that they want to produce top quality product that would challenge Yonex. However that effort was not very successful. Last year, the Chinese national badminton team left Yonex and signed a new sponsorship deal with Li Ning. Former World's no.1 player Lin Dan even have a racquet tailored specifically for him branded as the "Wood" N90 (street ~US$210). The sponsorship of the Chinese national team have given Li Ning a great opportunity to produce new lines of product that have garnered quite a bit of attention. There is even discussion whether N90 is the best racquet out there. Though that is a meaningless discussion, the point is I believe we finally have a legitimate competitor for Yonex with worthy product lines that players are interested in checking out. Competition should ultimately benefit the end users, in my eyes, that is very much welcomed. Disclosure: I am not affiliated with Li Ning nor trying to promote this brand.